USC researchers have pinpointed a remedy to prevent the spread of triple-negative breast cancer. Metastatic breast cancer is a leading cause of death for women. The findings appear today in Nature Communications. 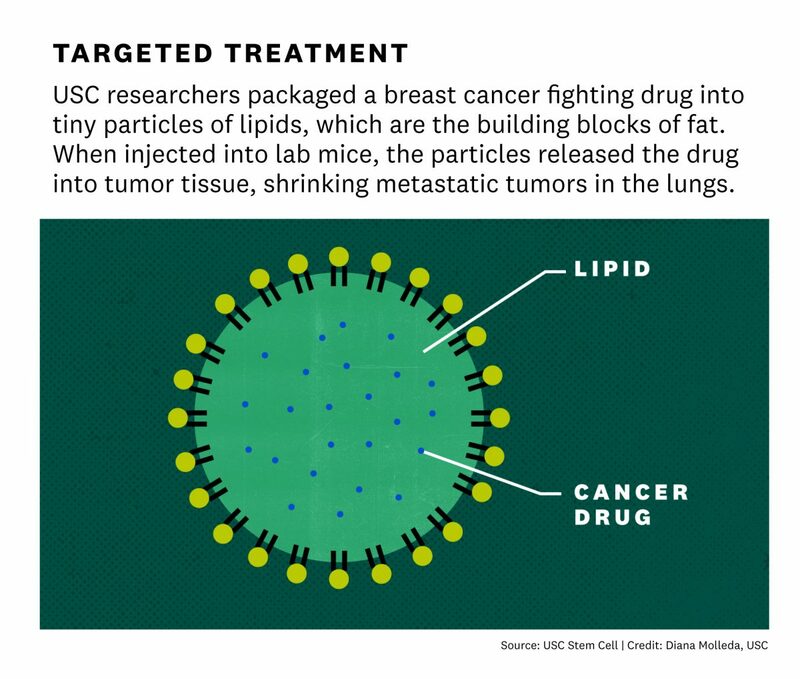 The study comes from the lab of USC Stem Cell researchers at the Keck School of Medicine of USC and offers a novel solution to suppress cancer from metastasizing into the lungs. It’s positive news for patients with triple-negative breast cancer – the deadliest type of breast cancer. Most breast cancers are fueled either by estrogen, progesterone or a protein called HER2, so many breast cancer therapies focus on these three vulnerabilities. But triple-negative breast cancer isn’t fueled by any of them, which makes it particularly difficult to treat. It comprises 20 percent of breast cancer cases and researchers are intensely interested in finding new treatments for it. In addition, few treatment options target metastasis— cancer that has spread. 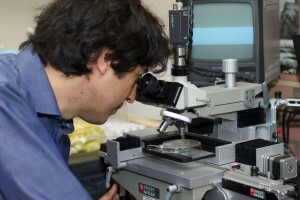 And typically, “these treatments are associated with high toxicity,” said Min Yu, an assistant professor of stem cell biology and regenerative medicine, and a principal investigator at the Eli and Edythe Broad Center for Regenerative Medicine and Stem Cell Research at USC, and the USC Norris Comprehensive Cancer Center. 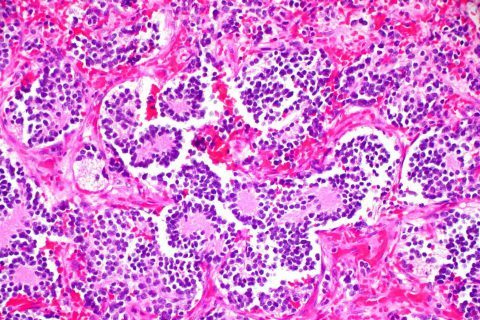 In Yu’s laboratory, postdoc Oihana Iriondo and her colleagues showed that by inhibiting a protein called TAK1, they were able to reduce lung metastases in mice with triple-negative breast cancer. It appears that TAK1 enables malignant cells from the breast to survive in the lungs and form new metastatic tumors. Metastases are the most common cause of cancer-related death. There’s already a potential drug, called 5Z-7-Oxozeaenol or OXO, that can inhibit TAK1 — and presumably make it much more difficult for breast cancer cells to form lung metastases. However, OXO is not stable in the blood and wouldn’t work in patients or preventing metastatic spread of breast cancer. To overcome that obstacle, Yu and her lab teamed up with the laboratory of Pin Wang at the USC Viterbi School of Engineering. 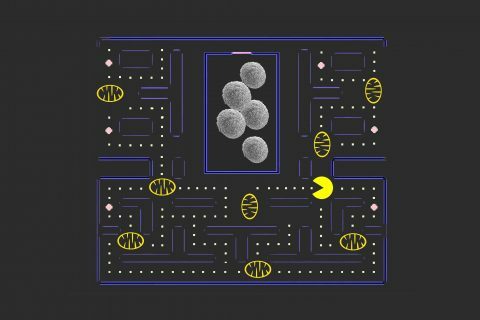 Wang’s team developed a nanoparticle – consisting of a tiny fatty sac – that works like a smart bomb to carry drugs through the bloodstream and deliver them directly to tumors. 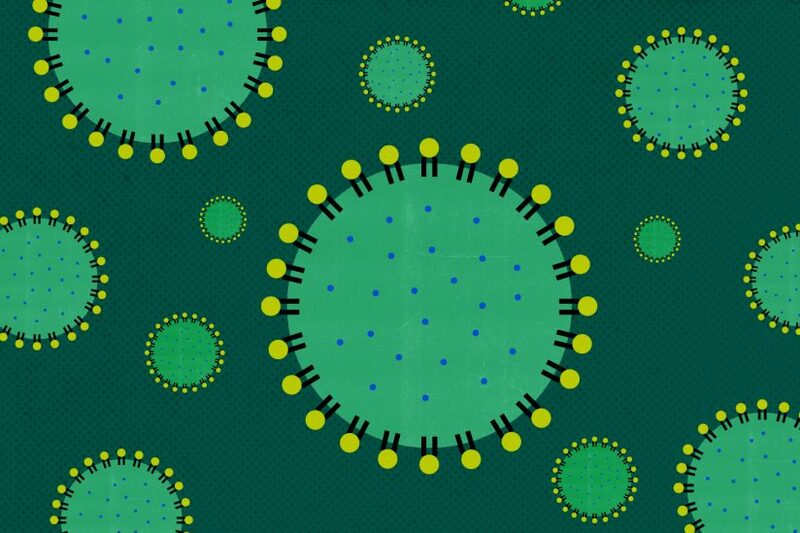 The scientists loaded this nanoparticle with OXO, and used it to treat mice that had been injected with human breast cancer cells. While OXO did not shrink primary tumors in the breast, it greatly reduced metastatic tumors in the lungs with minimal toxic side effects. Metastatic breast cancer is also classified as Stage 4 breast cancer once it’s spread to other parts of the body, usually the lungs, liver or brain. It reaches these organs by penetrating the circulatory or lymph system and migrating through blood vessels, according to the National Breast Cancer Foundation. 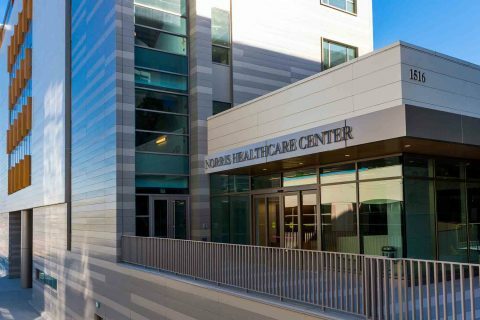 Funding came from the National Cancer Institute (K22 CA175228-01A, P2CA206653 and P30CA014089) and the USC Ming Hsieh Institute for Engineering Medicine for Cancer.